Missy is a character who appears in LEGO Dimensions. Missy was a female incarnation of the Time Lord most commonly known as The Master, a nemesis of The Doctor. 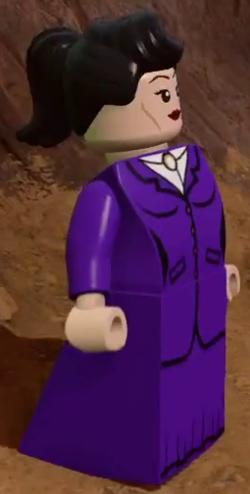 Missy is be voiced by Michelle Gomez in LEGO Dimensions, who plays Missy in Doctor Who. This page was last edited on 27 May 2016, at 20:54.